After composing such classics as Giving You the Best That I’ve Got and Sweet Love, vocal smooth jazz artist Anita Baker is bringing back the sound of ’90s R&B with her remake of Tyrese Gibson’s Lately, the debut single off of her first album in seven years. The new album, Only Forever, is due out Tuesday, October 23, 2012. I think one thing that makes Baker unique is that she can take a great song and make it even better. Apparently, a lot of other people think so too. 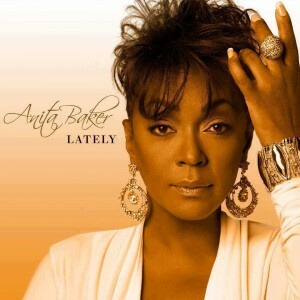 Debuting at number 10 on Billboard’s Urban Adult Contemporary Chart, not only is Lately the highest debut single of Baker’s career, but it is the highest debut single on Billboard’s Urban AC Chart in 15 years. Baker soared to fame with her classic album Rapture, continued to experience critical and commercial success with Giving You the Best I Got, Compositions, Rhythm of Love, and My Everything, and went on to release several successful greatest hits, holiday, and live albums. She is the recipient of eight Grammy Awards, and has four platinum and two gold albums to her credit. It seems that the long wait for Only Forever is due to a number of factors, including her divorce from Walter Bridgforth Jr., management changes at her label, and a modification to the recording process that resulted in her beginning work on the album in an analog studio several years ago, then switching to digital. The technological challenge was to keep the sound of the record true to what Baker wanted to express artistically while using the mediums that are in vogue today. Lately has put some muscle behind the Only Forever campaign. On August 6th, the track premiered at 10 a.m. on all Urban AC radio stations run by Clear Channel. By playing the single every hour on the hour throughout the day, she became the first artist to make this kind of debut on Urban AC radio. The bold move appears to have worked, and Baker now has another hit on her hands. Lately has been a regular part of her live act; however, the recording is reportedly a prelude to a covers album she hopes to do in the future. Tyrese Gibson will appear on the album version. Tomorrow night, August 22, 2012, Anita Baker is scheduled to bring her special blend of vocal smooth jazz and R&B to the Hollywood Bowl. Tickets are nearly sold out. Subsequent shows have also been announced in Highland, Calif., and at the Minnesota State Fair.